I’ve written a couple of times about the lack of seed funding in Africa, and how to find the entrepreneurs to fund if you did have seed capital. We’re starting to see a few angel investors like Sean Murphy of Chembe Ventures making their way around the continent, but they are not nearly enough to fulfill the capacity of ideas and individuals who need startup capital. Seed funding is risky, and the idea of Crowdfund is to distribute that risk over a number of people thereby reducing it for everyone. Their goal is to invest 50,000-100,000 Rand in 10-20 “excellent ideas”, and also provide legal advice and contracts, designers, specialized developers, bandwidth, hosting, office space and running costs, mentorship and time saved. This idea is similar to what Ben White at VC4Africa is thinking about, basically a “Kiva on steroids” as Bill Zimmerman puts it. A way for you to invest in people and projects with larger sums of money and greater risk and returns than on the microfinance investing sites. Both the Crowdfund and VC4Africa initiatives are excellent steps in the right direction, as they both provide platforms that allow less-knowledgeable investors (of tech in Africa), and deeply involved African tech investors alike, to get involved without too much risk at one time. There remains one issue to be solved though, and that is finding the entrepreneurs to invest in. Any VC worth their salt will tell you that they invest in the people behind good ideas, not just the product/service that the entrepreneur is trying to create. So, how do you find these individuals? It’s generally through your network, people you trust, that serve as a filter to guide you towards the promising ones. That’s the same in Africa as it is anywhere else, yet here in Africa, there are fewer of these trusted intermediaries who act as filters (especially for international capital), than there are in the US or Europe. In a meeting this last week of the people behind Limbe Labs (Cameroon), Appfrica Labs (Uganda), the iHub and the iLAB (Kenya) we discussed how these spaces could act as that type of a filter for investors and funds. Each of us sees more young tech entrepreneurs every day, and sees these individuals consistently, than most any other single person could by themselves. Could these labs, which are now showing up all over Africa, be a way for entrepreneurs to make themselves known, show their stuff, then be introduced to the funds and investors with a greater level of confidence than normal? 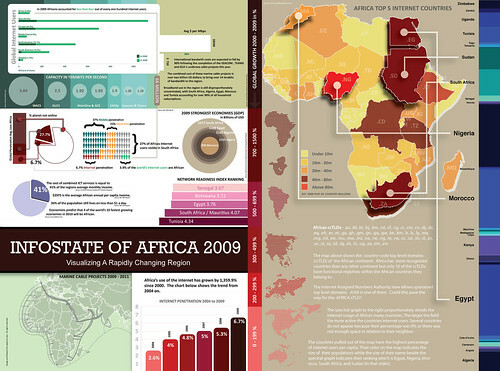 Jon Gosier’s Appfrica Labs has put together an amazing infographic on internet connectivity in Africa. Amazing work! Jon Gosier runs Appfrica Labs. He’s been hard at work over the last year promoting technology all over Africa on his blog, and at the same time building a base for the technology incubator Appfrica Labs that he launched late last year with some external funding from European VC firm Kuv Capital. Jon is one of the most capable, energetic and social programmers that I know. He is entrepreneurial, understands the business side of things as well as the nuts and bolts of developing. In short, he’s about the perfect person to put your money behind if you’re going to invest in the African startup tech space. There’s something very powerful about the focus that Jon is applying to Appfrica Labs. I’m sure that there are opportunities and applications that he will incubate that stretch beyond Uganda, but he’s taking a measured approach. There’s enough low-hanging fruit in Uganda for him work on, so he’s starting there. Jon notes that there are over 60,000 Facebook users in Kampala, and instead of creating yet another social network, he has decided to focus a fair bit of early development into this platform. He doesn’t focus on Twitter or other “hot Web 2.0 apps” which aren’t being used there by enough people yet. Status.ug – an inexpensive, and efficient, mobile gateway for Ugandans to update Facebook via their mobile phone. Answer Bird – Uses Facebook Connect to allow questions to be asked and answered in a Twitter-like interface more here). OhmSMS – Get an SMS when your power is off at home or at the office, simply by keeping a cheap mobile phone plugged into an outlet. Appfrica Labs is not only a great idea, but it’s a blueprint for a new way for technologists to band together and create something in the face of a lot of difficulties in Africa. We all know of the problems faced when trying to get seed capital, or of the lack of traction when trying to sell ideas to the government or big businesses within a country. What Jon has been able to do is create a brand which others can rally around and push their efforts forward as a collective. It’s about marketing, messaging and communication. He’s made a lot of headway for not just himself, but the other entrepreneurs in Uganda due in no small part to the hard work and late nights put into his blog, creating his own code, and promoting his message at conferences. We have yet to see the final outcome of all this labor, but it’s an extremely strong start that leaves me optimistic about the future of Appfrica Labs and any other innovation hubs that pop up around Africa. Rebecca Wanjiku is right, Africans should stop whining and work smart, collectively to get new technology built, released and adopted throughout the continent. Earlier this year a new blog burst onto the African tech scene, and it hasn’t let up. In fact, it’s growing from a blog into a place for open source developers to work together. The man behind Appfrica is Jon Gosier, an energetic and proactive developer now living in Kampala, Uganda. Below is a short email interview that I did with him last week. Jon: I’m a glorified computer geek who works as a self-employed web developer and social media consultant in East Africa. Jon: I’m a big fan of what’s going with the internet right now, specifically all the theory and development related to the semantic web (microformats, artificial intelligence, computational linguistics and dataparsing) where all that is heading. Simply put, technology inspires me. Q: How did you get interested in Africa? Why Uganda? Jon: I’m in Africa because of my girlfriend. She (also from the United States) works for an NGO called Water For People and they hired her as the African Regional Manager to supervise the launch of new offices in Rwanda, Malawi and Uganda over the next three years. At the time, I was spending a lot of time in San Francisco trying to find funding for various start-up ideas. It became clear to me that Silicon Valley VC space was becoming very insular, people were funding social networks built around other social networks and web apps for tasks like sorting email. My work was more social entrepreneurial and the response in the Valley was lukewarm at best. So I decided I’d go to Africa with her and execute my own ideas. Q: Appfrica.net sprung onto the scene earlier this year. Where do you see that going, and how will you utilize it as a platform while in Africa? Jon: App+frica is an initiative that facilitates African software developers and internet entrepreneurs. It’s entirely self-funded. Unfortunately, there aren’t many organizations outside of Africa that see the benefit of mentoring students and entrepreneurs in technology. 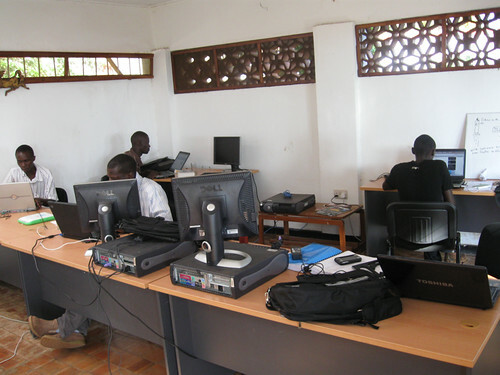 Appfrica also organizes events and workshops for local developers. Things like the Facebook Developer Workshop (18 October 2008) and Kampala Barcamp (19 August 2008), the upcoming Âµganda (Mobile Apps Uganda) and App+Asia. I also do hands on workshops where I’m teaching young developers programming and web development skills that will make them more competitive in the world market. You can read more at Appfrica.org. 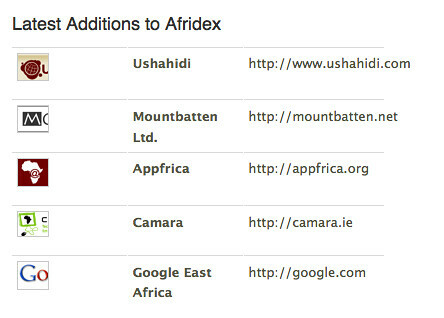 The blog is Appfrica.net. Essentially it’s about innovation, development, social media and the internet as it all relates to Africa. There’s been some pretty healthy discussions around the content and Although I currently write everything, I’ve reached out to some local people who are considering joining the staff. code.appfrica.net is a software repository that hosts and facilitates African developers. You might call it an Amazon S3-like service for Africa. Because there is no easy way to purchase things via the web in Africa (because many financial institutions don’t offer credit cards), something that many people don’t really have is access to is personal space on web servers outside of school. An even bigger problem is that there are very few local servers here and using anything hosted outside of the continent can be incredibly slow. It’s my goal to offer free, local server space to developers so that they can learn from each other, communicate freely and share. The site consists of a forum for African programmers, a subversion (SVN) server and a web version control system (TRACS). It also offers distributed file storage for developers like S3. Beyond that, I try my best to help reshape misconceptions about Africa in the west by participating in technology conferences around the world. Even in the age of information people are surprisingly ignorant about Africa…especially when it comes to technology. When I mention Africa to people in the western business world, they overwhelmingly start asking questions about Darfur, Idi Amin and Robert Mugabi. It’s especially difficult to get technology conferences to let anyone in to even represent Africa or African technology companies. The people of Africa account for over 14% of the worlds population and despite the AIDS epidemic, that number is growing (according to the C.I.A’s World Factbook). Why do people to often look the other way when it comes to technology and business here? Are businesses really afraid or do they just not understand the African market enough to care? The blog has largely become a way to get people in the West noticing all the wonderful things going on in the IT space here while also reporting the latest tech news for Africans. Q: What is Question Box and what are your plans for that project? Jon: QuestionBox.org is a project launched by Rose Shuman who lives in Los Angeles, CA in the United States. Her idea was to essentially allow people in rural areas around the world to use the internet via their mobile phones. It works like this: people in rural areas call or SMS the service with their question. A local operator consults a database (which also includes web searches) to discover the answer to those questions. The operator then responds in the local language. My role as Chief Technical Officer is to build the software backend and to help direct growth and scalability. The service will allow for use via mobile device, the web or phone. For the SMS portion we’re integrating a micro-messaging application. When people SMS in their questions, we can index them and add them to a database that can be searched quickly offline. 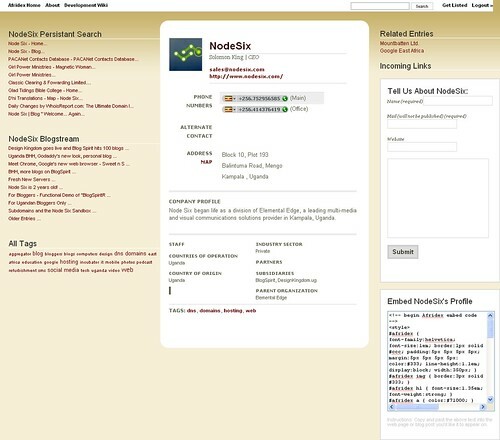 We can also publish the database online for the benefit of researchers or people using the web. Since internet connections aren’t as reliable as they are in the West, the service is built to work offline and only crawls the internet when it has a connection. This allows people in rural, developing areas to get access to relevant information without the need for computers which are often not an option. What is an option, often already available, is mobile devices which have very high penetration numbers in the African market. It’s our goal to democratize information in emerging markets using technology. So far the pilot programs have been huge regional successes. QuestionBox ran pilot programs in India last year and it encouraged her to expand to other areas of India as well as Africa starting with rural Uganda. Q: You’ve been on the ground in Uganda for a couple weeks. First impressions? Jon: One month exactly and we’ll be here for the next three years. We just got a house in the suburbs of the capital city Kampala. Getting reliable internet has been a huge chore, but that could be expected. I love it so far. Kampala is great, it’s very diverse and friendly. I’m looking forward to seeing more of Africa. I’ve got meetings next month in Rwanda and Tanzania and I’m working on going to Kenya and Egypt which are among the leaders of ICT development in the region.